Learn how to play the songs by Townes Van Zandt note-for-note on guitar with The Townes Van Zandt Guitar Lessons. Each lesson includes the playthru, video lesson, songsheet with chords and tab. 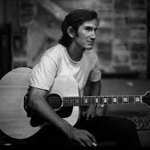 One of the most poetic and melancholic of songwriters, Townes Van Zandt’s songs seemed to reflect his own troubles more than almost any other writer. In this collection of Townes Van Zandt guitar lessons you’ll learn exactly how he played the guitar accompaniments to these songs. Many of them are taken from the versions on the Live at Old Quarter album, which showed us how he accompanied these songs when backed by just his own acoustic guitar. Much more than just the chords, you’ll get the capo positions, exact picking patterns, variations, licks and riffs that he incorporates on each song.